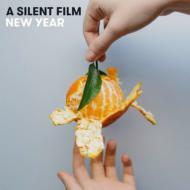 Recorded in a rustic studio on a pecan farm just outside El Paso Texas, this 2015 EP from A Silent Film expands on the cinematic alternative rock of 2012's Sand & Snow and 2010's The City that Sleeps. Lead single, 'Tomorrow,' marries the anthemic power of Joshua Tree-era U2 with driving synths, setting up a soaring chorus that is destined to become an unforgettable moment in their live set. 'Paralyzed' explores the powerlessness and self-destructiveness of infatuation set to a tense, high-energy soundtrack that combines the formal experimentation of Muse with the emotional lyrical directness of Imagine Dragons. The EP's bombast is balanced by the soaring, dramatic ballads 'Strong Enough' and 'Message in the Sand,' both of which deal with finding emotional strength and support through a loved one. The EP was self-produced, in collaboration with Matt Wilcox, and was mixed by The City that Sleeps producer Sam Williams.